Yesterday, during the madness that was Nexus 6, Nexus 9, and Lollipop day, we put together a quick comparison of the new Google phone to its predecessors. The point was to show how far we have come over the years, both in terms of specs, price, and size. But what about the rest of the smartphone world? 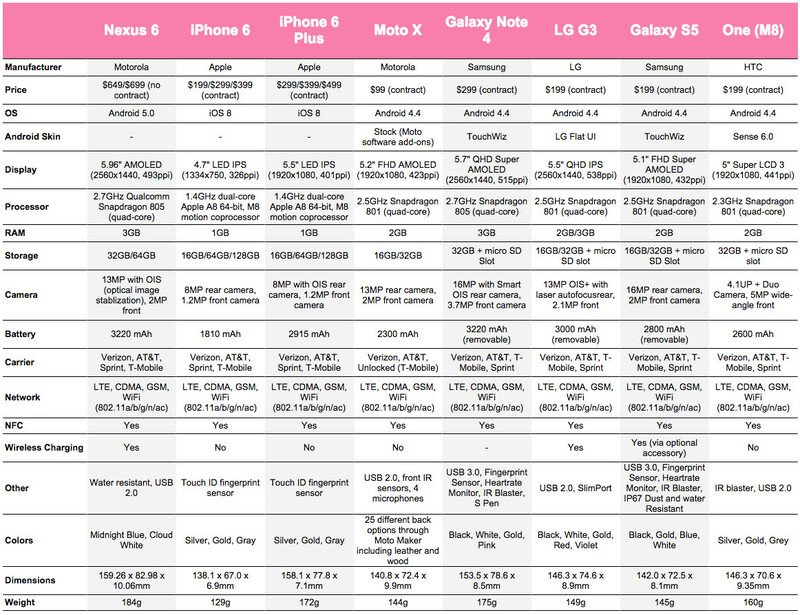 How does the Nexus 6 stack up to the new iPhones (6 and 6 Plus), Galaxy Note 4, Moto X, LG G3, Galaxy S5, and HTC One (M8)? Well, we have that info for you below in one of our classic charts. On paper, the Nexus 6 is truly a beast. It tops the charts in almost every category, thanks to its next-gen specs like the Quad HD display being used, Snapdragon 805 processor, 3GB RAM, camera with OIS, big ol’ 3,220mAh battery, and use of premium materials in the build. Again, that’s just on paper – we will have to wait until we get the phone in hand to decide if it is a better overall device that you should consider. As you run through each column, comparing the Nexus 6 to the others, be sure to focus on the dimensions and weight categories, another area that this phone (maybe unfortunately) tops the charts in. 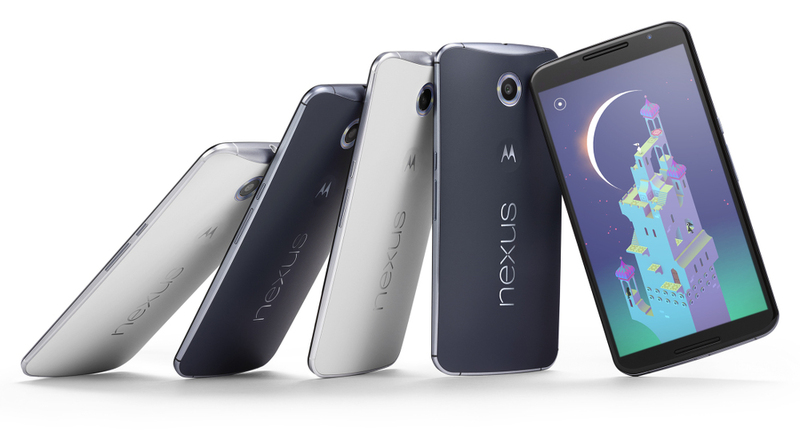 Here is the full list of official Nexus 6 specs.